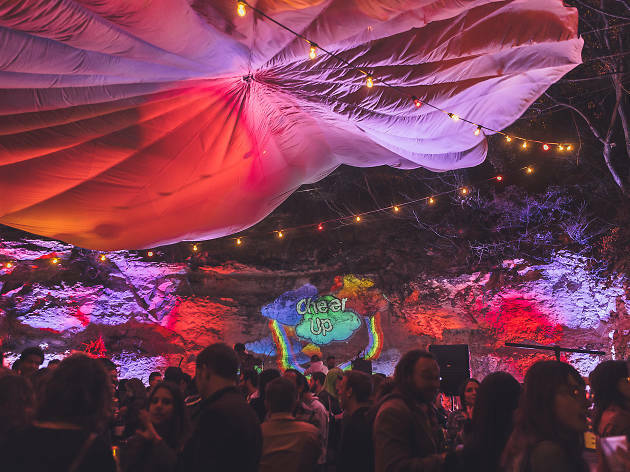 Though Austin's gay scene may not be as sizeable as those in NYC or Miami, the LGBTQ community is a proud presence in our city, with a handful of lively gay bars and LGBTQ nights to prove it. 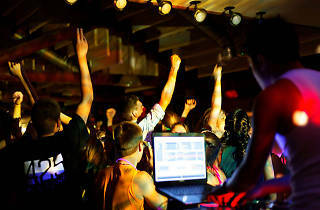 True, there's plenty else to do in town—we’re home to some of the best live music venues in the country, and the best dance clubs in Austin are all guaranteed to leave you sweaty and breathless. If you’re looking for a dive bar, we’ve got plenty. But you'll always have a memorable night (or day!) 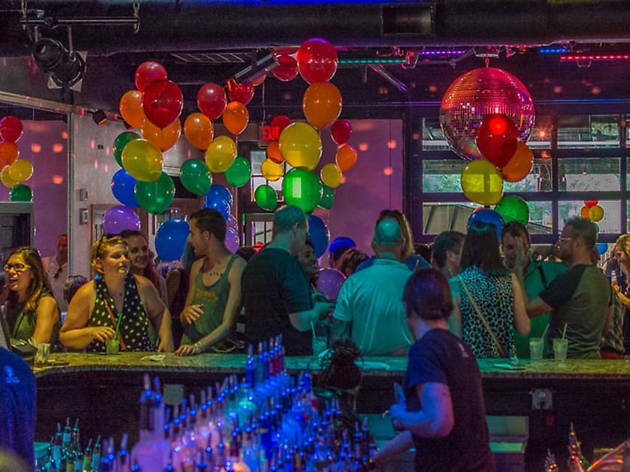 out within Austin’s small but mighty LGBTQ bar scene. 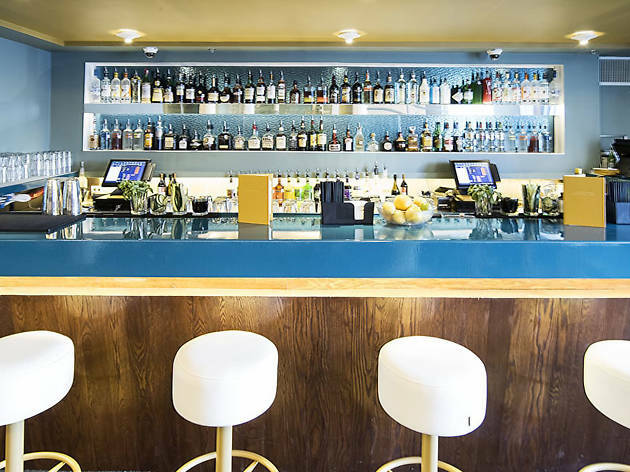 Whether you're looking for a night working it out on the dance floor, a spectacular drag extravaganza or a chill place to get some drinks with friends, we’ve got you covered. Though a lot of bargoers will have to travel a little further up north to get here, Bout Time II is not to be overlooked. 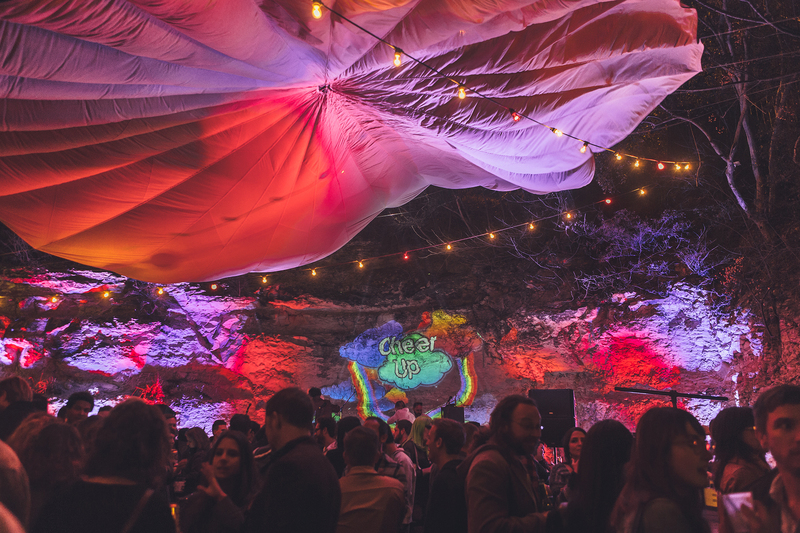 For those hoping to avoid the mess of downtown parking, the gay bar and nightclub offers a night of high quality revelry and a diverse haven for the LGBTQ community in Austin. A sizeable dance floor fills up quickly, and there are pool tables and TVs showing the game if you're looking for a more low-key night. 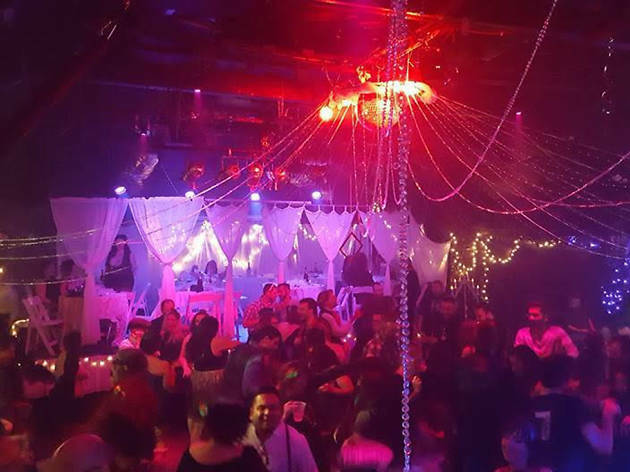 Affordable drinks and a welcoming vibe make Bout Time II’s regular Tuesday night drag shows an oasis from the bustle of 4th street's busier bars. 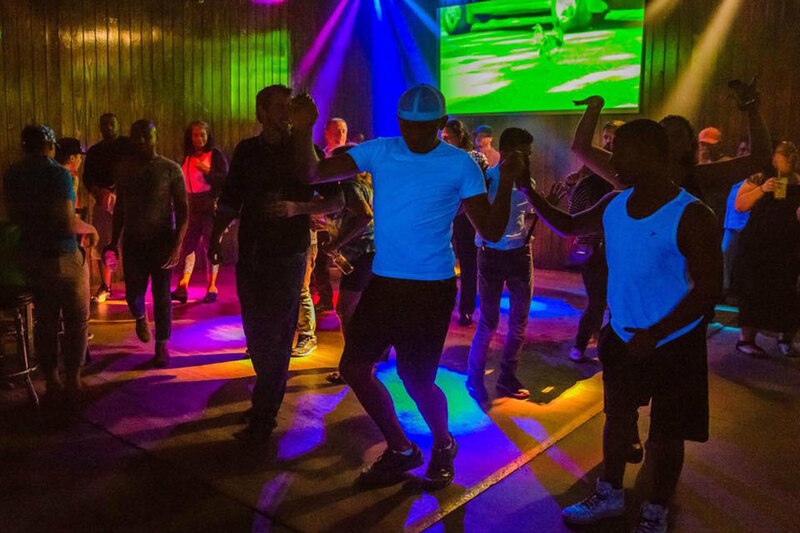 They're also the only gay bar in town with a Latin night—Sundays with DJ Pete Mendez. 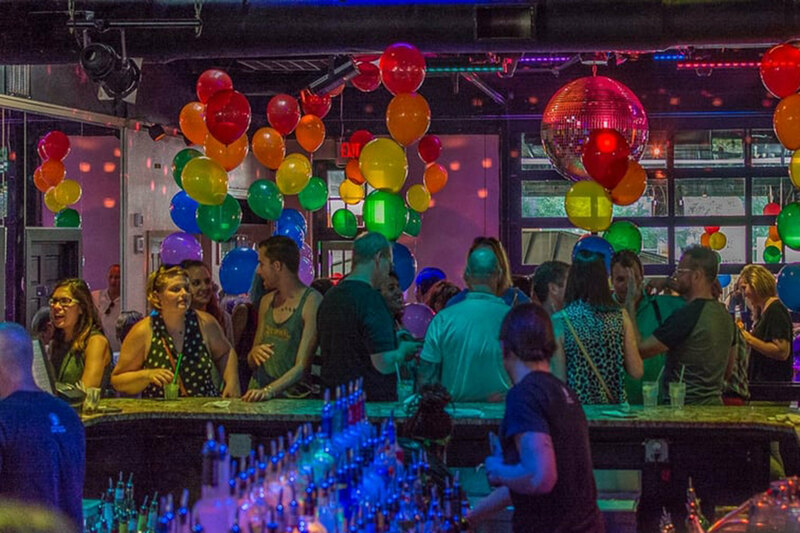 Cheer Up Charlie’s has been an integral part of the LGBTQ and music scenes in Austin since opening in 2010. Founded by Tamara Hoover and booker Maggie Lea, Cheer Ups is now part of the Red River Cultural District and hosts nightly free or donation-based shows featuring local and touring acts. The venue is also home to LGBTQ storytelling showcase “Greetings, from Queer Mountain” and “Neon Rainbows 90s Country Night.” A vegan food truck, Arlo's, offers some quality eats, and a selection of housemade juice cocktails like the Golden Ticket and the Rosie Cheek are perfect for cooling off. 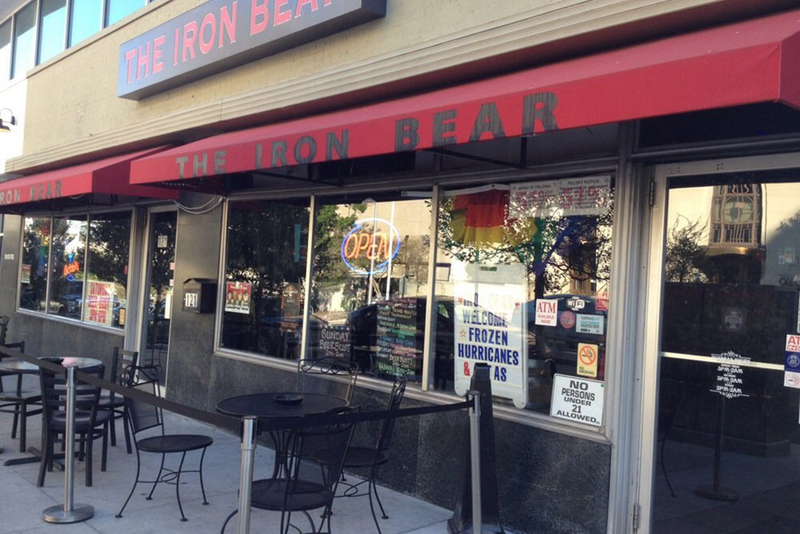 The home of the hirsute, Iron Bear is Austin’s bear bar with nightly events geared towards those looking to leave their shirts at home. 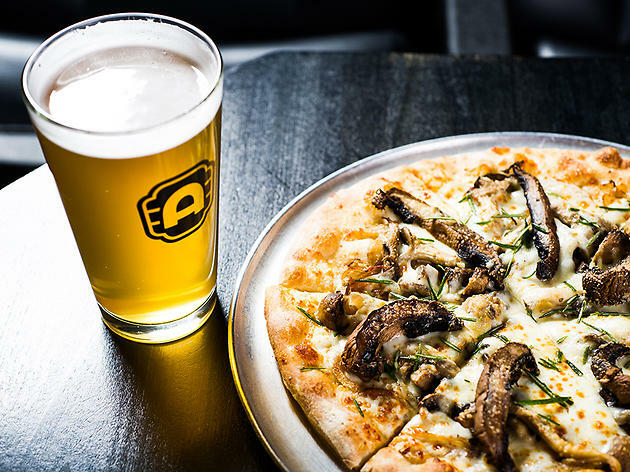 Geeks Who Drink host trivia on Thursday nights, and Musical Mondays bring your favorite broadway classics to life with DJ Mike Horton. 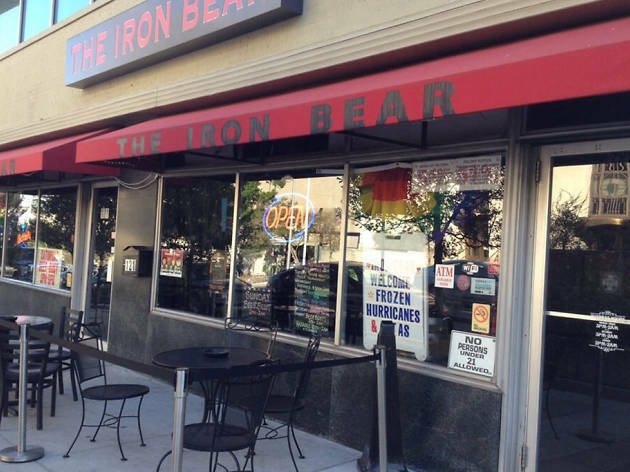 Iron Bear also has some of the cheapest drinks around: $2 Lonestars and $3 well drinks on most nights. 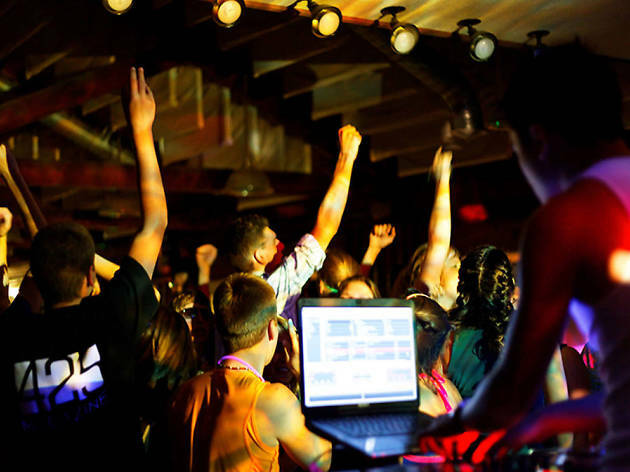 Keep an eye out for the night party “SERVICE;” this event sporadically pops up on Fridays with a massive lineup of local DJs and always packs the dance floor. Every town has a gay bar that’s been around longer than most of its patrons, and Oilcan Harry’s is Austin’s (the bar opened in 1990). 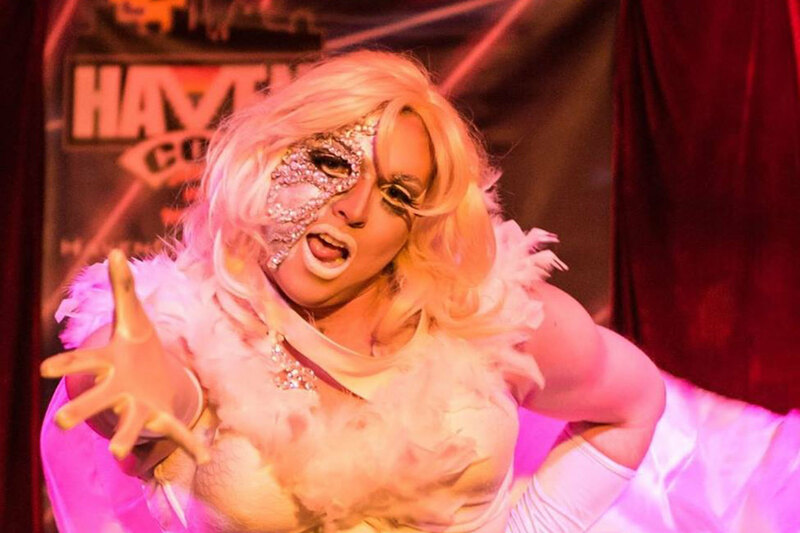 Catch your favorite drag queens from RuPaul's Drag Race on Sunday nights during the Super Sunday Divas Show, or stop in on Fridays to sashay on the dance floor with DJ Tony Castro. Harry’s welcomes folks 18+ on Wednesdays, Thursdays and Sundays, and features a side gay sports bar, called Score, for watching the game. 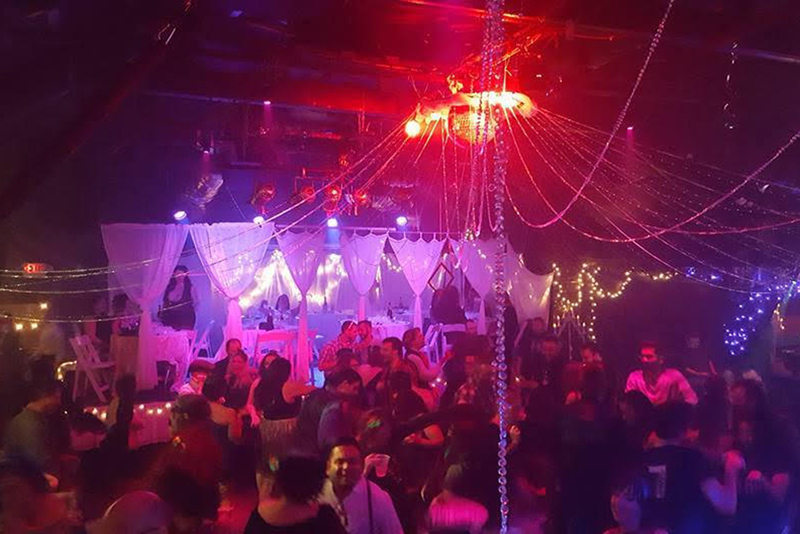 Located directly next door to Oilcan Harry’s, Rain on 4th is Austin’s upscale gay lounge sporting a brilliantly lit dance floor that's always on fire. Tuesday nights feature Drag Class for fledging queens to cut their teeth, and every Sunday Rain eases you into the upcoming week with their "First Aid" happy hour featuring $2 mimosas and $2.50 domestic beers from 5-10pm. 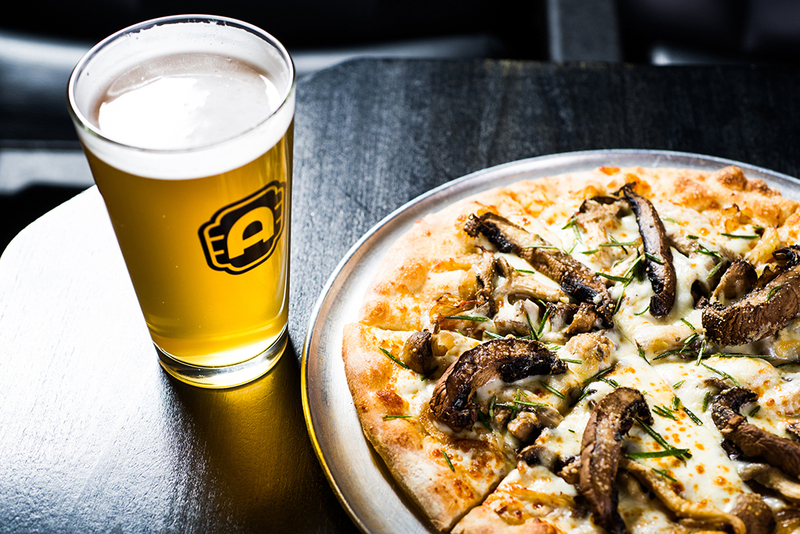 If you’re going for size, stop by Highland Lounge. 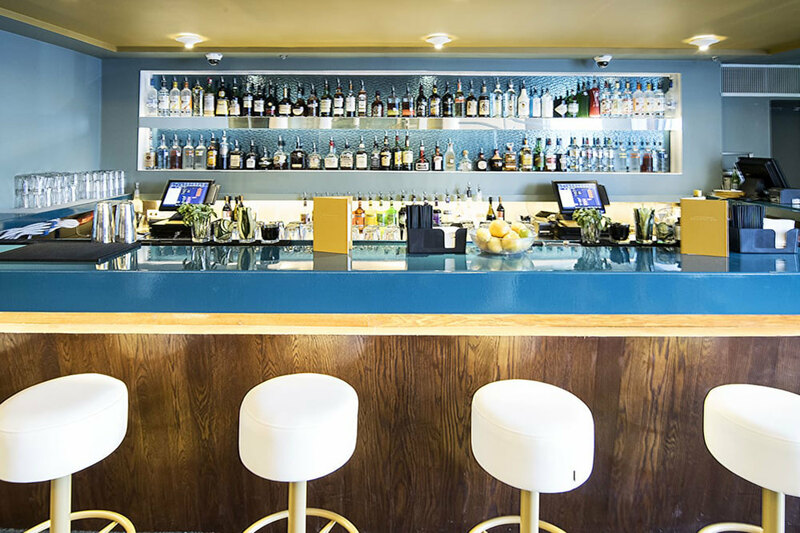 The bar boasts a massive two-story dance floor with an Ibiza-style sound and lighting system for when you’re really looking for full-service fantasy. 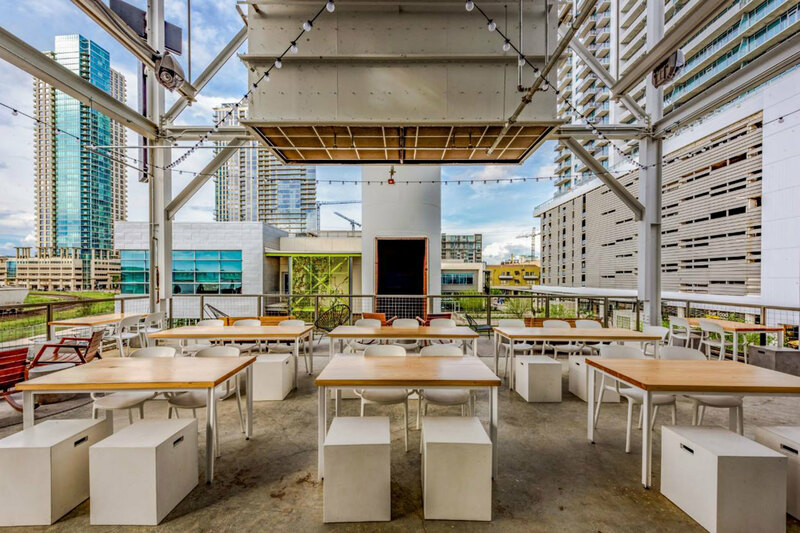 Open Friday through Sunday, Highland offers five bars (including a patio bar and a basement bar under the dance floor). Saturday nights are the ultimate dance party; drop by on Sundays for late night karaoke. 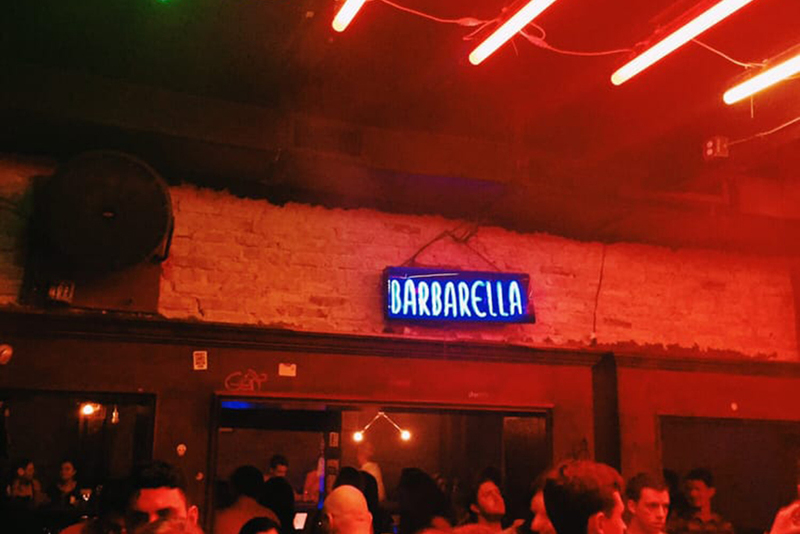 On Tuesday nights you’ll find Barbarella packed with folks looking to shake off that mid-week haze on the dance floor. 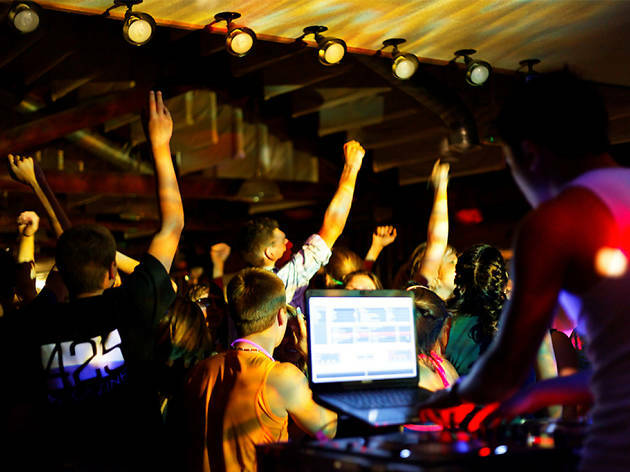 The crowd is typically college aged and the music fits the hipster vibe Austin has become known for. No cover before 11pm. 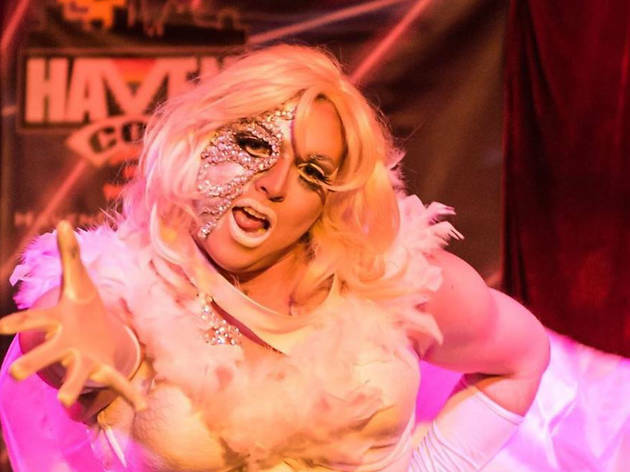 Local drag heroes host regular shows at Elysium including the Hail Yasss party pitting drag queens against each other through the music of two classic divas. The party also includes Die Felicia screenings of throwback horror films with drag accompaniment. Every third Thursday and various other dates. $5 to $10 cover. 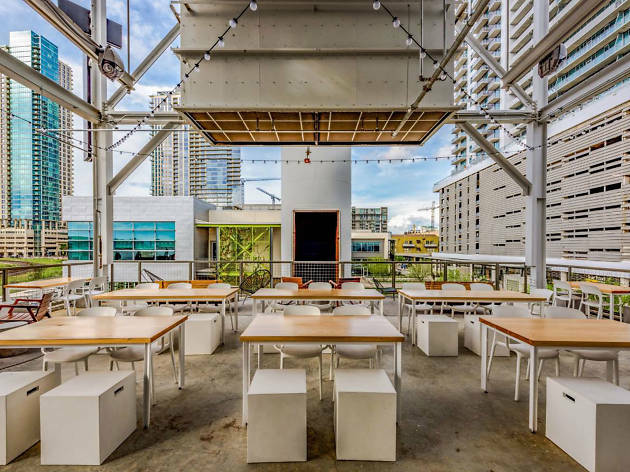 Night Tropics is a monthly dance night featuring local artists like DJ Mouthfeel spinning dark dance at an eastside dive bar. This spot is a bit off the beaten path—make it your own before everyone else finds out. Held every third Thursday. No cover. Drag Queen Chique Fil-Atio recently relocated this monthly variety show to Carousel Lounge after it outgrew its original home at the Austin Toy Museum. 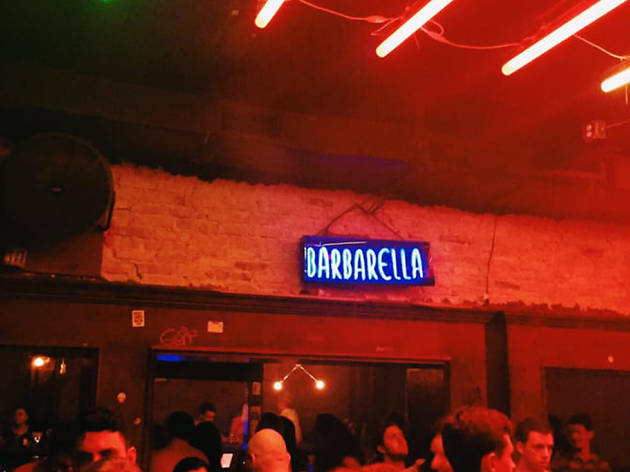 Head up north to see comedians, queens and performance artists moving to the beats of DJ Isabella Von Black. Proceeds go to Hops For Heroes college funds. Third weekend of every month; $5 cover. 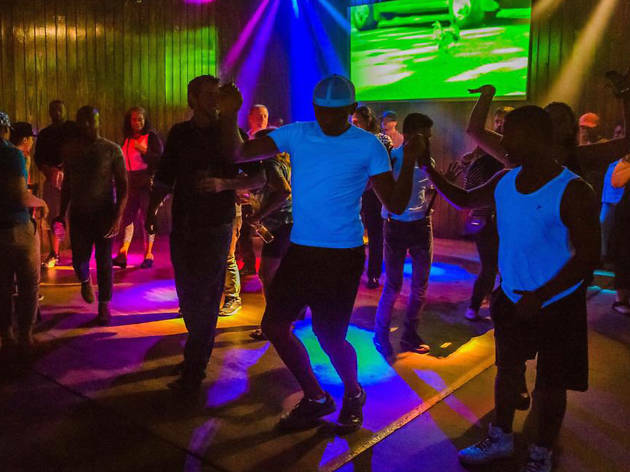 Every Wednesday night, DJ Girlfriend spins dance, house and soul jams for this queer dance party. Keep it simple and groovy. 8 pm. No cover. The first Monday of every month, Barrel O’ Fun hosts Queer Film Theory 101 to educate while you drink. Three local guests share films and clips that influenced their queer identity. Have you ever noticed how Batman Forever is a queer narrative? Oy, they'll tell you all about it! No cover. Spend your night looking out over the city with a cocktail in hand.